Are lost teeth the reason of your stress? Are you not able to eat your favorite food? Are you afraid of smiling because of the embarrassment you have to face due to lost teeth? If the answer to these questions is YES and you are looking for the best solution then you must consult your dentist for dental implants. They are the most advantageous solution. The next concern might be of the cost of this treatment. But the money you spend in this treatment is worth it. And there are many affordable clinics in Melbourne whose price is most suitable for the common public. How useful the dental implant is ? Now you can not compromise quality for price. You must always look for a clinic which serves with superior quality technology, expert surgeons and conducts the whole dental implant process systematically. Yes, this treatment costs a little more than others but you must always compare the prices of various clinics and go for the one which is affordable and yet not compromises on the services. The price you pay for this treatment for your lost teeth is definitely of worth because implants are a lot more comfortable than the artificial dentures as they are fixed just like the natural teeth. You will feel great ease and comfort while eating, talking and laughing and will not be able to tell the difference between implants and natural teeth. Before you finalize to undergo this treatment you must know how the whole surgery is done and how much time it will take to completely recover. It takes a few weeks to get back those pearly white teeth as there are various stages to this process. The first stage has the placement of the titanium implant in the gums. The second stage includes the placement of the abutment on the implant. In the third stage a temporary crown is placed on the abutment. And in the final stage, the temporary crown is removed and the final crown is fixed on its place. After each stage, the doctors let you to recover for a few days before proceeding to the next step. Your one decision will give you peace of lifetime. Dental implants don’t need replacements and repair unlike the dentures thus saving your money. So overall it is all the same. So why not go for a option which is more comfortable, reliable and fuss free. See your dentist today and take a step forward for affordable dental implants. 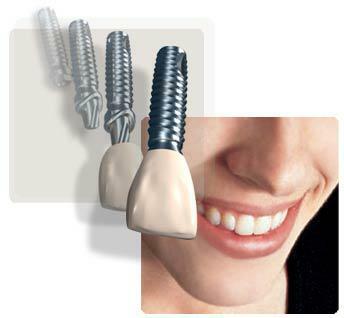 If you are a candidate for dental implant, than Dental Implant Professionals is the place for you. You will not find any other high class clinic for such affordable rates in the whole Melbourne. They have various packages to offer you. And as far as the treatment is concerned, get ready to experience a pain free and satisfactory implant process. They excel in this industry.